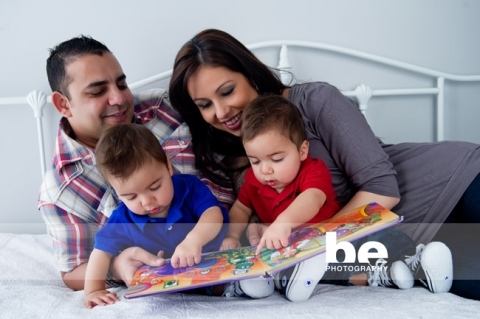 I don’t know how Yvette does it with two highly active 14 month old twin boys! Certainly, getting them both in the frame at the same time and relatively happy was a challenge! Enter, the Wiggles by way of a book from the studio collection. 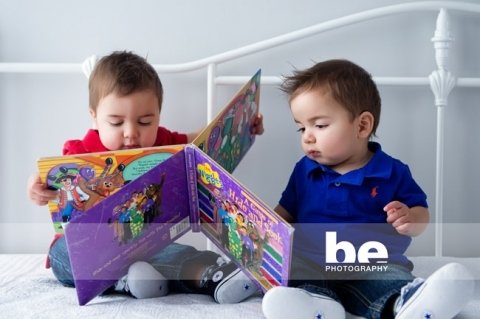 We had instant calm, as both boys sat and pored over the pages, and mum and dad jumped in! We actually did manage quite a few both family and individual shots over the morning session, but these natural shots of the boys and their much loved wiggles were my faves.